Rob Roggema is a landscape architect and leading voice on sustainable urbanism, climate adaptation, energy landscapes and urban agriculture. He is Professor of Sustainable Urban Environments in the UTS School of Architecture. 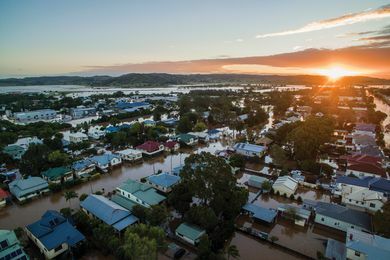 As we face a future of more frequent and severe weather events due to climate change, we need to start redesigning our towns and regional cities to better cope with shock events.